Prime Minister Shinzo Abe has put Japan on an ambitious reform path. Dramatic moves in Japanese bond and equities markets in recent days have raised questions about the long-term viability of the country's ambitious economic recovery plan. 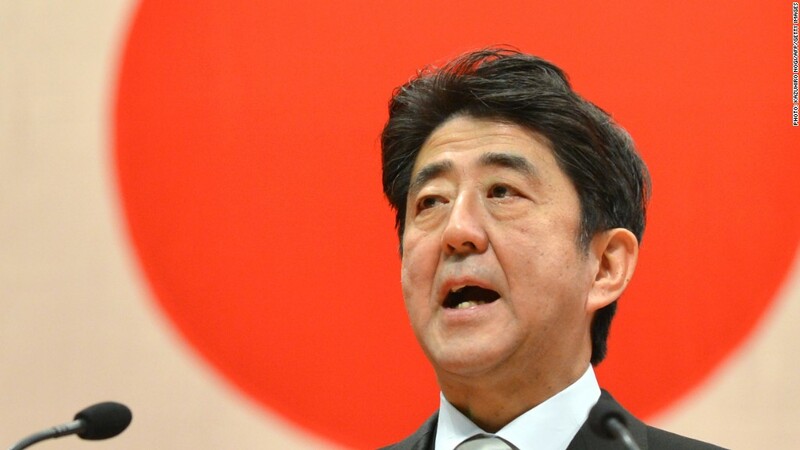 The plan -- dubbed Abenomics after its architect, Prime Minister Shinzo Abe -- includes coordinated government spending, central bank stimulus and structural economic reforms. The idea is that the measures will push up prices and end 15 years of deflation, leading to more robust growth for the world's third largest economy. The program has helped weaken the yen and dramatically boosted the profits of exporters, driving the Nikkei index through the roof in the process. Until last week, that is, when trading turned choppy. The Nikkei is now 13% off its recent high, and has posted a series of dramatic one-day declines. The volatility has left investors wondering whether policymakers can pull off their high-wire act while avoiding the pitfalls inherent in spurring growth in the world's most-indebted country. Japan has a debt problem. The country's gross public debt is projected to hit 230% of GDP by 2014 after years of budget deficits. Economists caution that Japan would be wise to attack its rising debt levels with similar vigor by hatching a plan to cut welfare benefits and raise taxes in the medium term. The Organization for Economic Cooperation and Development and International Monetary Fund, for example, have largely given their blessing to Abenomics. But both organizations argue Japan must act quickly to control its debt. "Lack of concrete fiscal measures to bring down public debt, or a delay in the consumption tax increase, could elevate risks of a rise in government bond yields, which would undermine fiscal and financial sector stability," the IMF said in a report released last week. The Nikkei has been the most high-profile beneficiary of Abenomics, and is still up around 30% this year despite recent volatility. Yet it's not clear that the excitement is translating into all parts of the economy. Wages are flat, while retail sales and other indicators indicators have failed to impress. Economists expect inflation to kick in over the next year -- but prices are still falling, continuing the persistent deflationary trend in Japan. In order for Abenomics to work, bond prices have to stay high. The Bank of Japan is currently buying long-term debt at a rapid clip, hoping that its purchases will keep long-term yields low. The goal is to encourage investors to look elsewhere for higher returns, a pattern that will encourage investment and result in economic growth. But after months of stability, bond prices dropped recently. Yields on 10-year Japanese government bonds hit 1% in late May, the highest level in more than a year. Some economists say the central bank is pursuing contradictory objectives. As the bank works to lower interest rates, it is also trying to gin up inflation, a trend that should push rates higher. In a speech Wednesday, Abe pledged to cut red tape to stimulate business activity. A ban on online sales of over-the-counter medicine would be lifted and special economic zones created. Abe also set a target of raising per capita national income by at least 3% annually. Investors had been hoping for more detail, and the Nikkei fell 3.8%. The yen strengthened against the dollar to close below 100.